You may wonder why I chose to create a children’s book. The answer is simple really; I have a grandson. What better gift than to create a book where I do the story and all the illustrations. 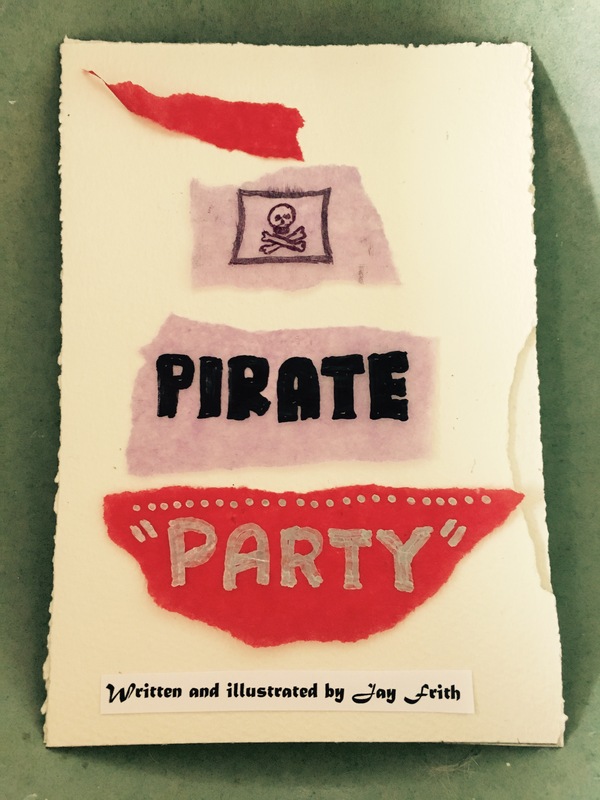 My parents gave me a pirate party when I was a youngster. Such fun as I dressed as a pirate and all my mates did too! And that was just the beginning. Dad thought a good place to hold the party was underneath the house. There was head room for little people but grown-ups would have to lean over so as not to bump their heads. Imagine you are under the house where it is dark even during the day. A bit scary but a real sense of adventure as we looked for a map. The map would lead us to the treasure chest. Searching everywhere for the treasure we did not have to fight each other with our cardboard swords. Perhaps that was just as well. Eventually we found the treasure chest and guess what we found inside? The best kind of treasure, stuff you could eat; chocolate frogs, silver balls and many good things. What was that. We heard a noise. We were being called, “Come and get it”. We stumbled over each other into the bright daylight and gathered around a table set up in the garden. Lots of food and of course a big birthday cake. What a great day. I decided to write in verse as it came easily and sounded good when read aloud. For those listening to the story verse is easy to remember because of the rhythm and rhyme. To keep in the party mood I decide the images would not be too formal but required some imagination to work out what was going on. 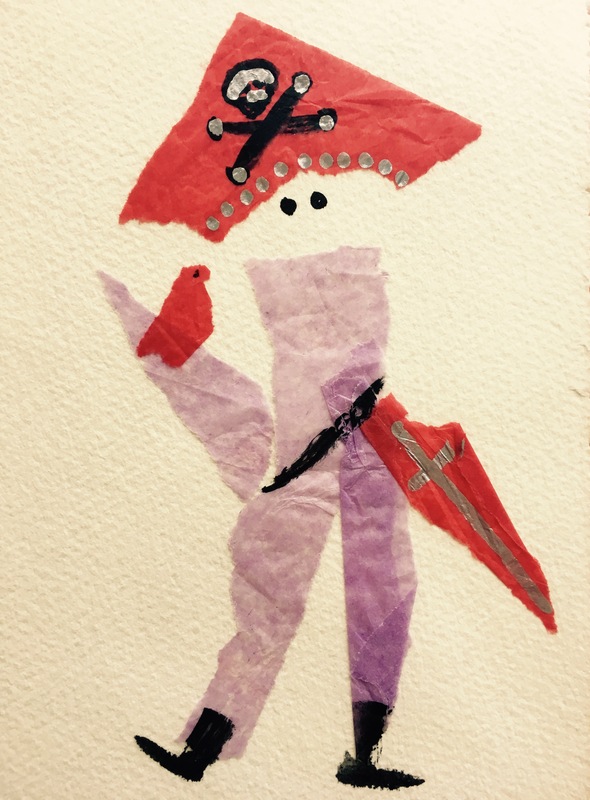 I created images using tissue paper. Some detail I drew with a brush and ink and highlighted with a silver ink pen. Loads of fun.